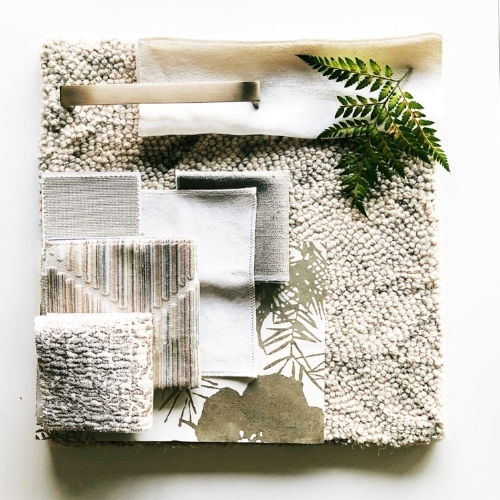 While we seem to be known for our colourful interiors (think clean backgrounds with a pop of colour), we are getting more and more requests for neutral palettes. And we are totally loving it! But before you decide to decorate in brown, brown and more brown, make sure read on to keep your neutral scheme far from boring! the particular quality of brightness, deepness, or hue of a tint or shade of a colour. the general effect of colour or of light and shade in a picture. a slight degree of difference in the intensity of a colour. By adding different tones your home will have interest. Your eye will move around to notice the depth in the room and keep interested … rather than reading everything as one shade and want to gouge itself out. Picking the same colour in the same tone/hue/depth equals boring but by mixing different tones of neutrals, your home won’t fall flat or appear lifeless. Patterns also help keep a neutral scheme from being boring. In the photo above you can see we paired a patterned wallpaper with contrasting patterned fabrics. These work together because of their neutrality and their contrasting scale and type of pattern. While you may be fearful of bold pattern in your home, you’ll notice neutral schemes that are successful do indeed have pattern - whether that is in a wood grain or a natural stone veining, etc. As soon as we start playing with fabrics and materials, we add texture. Texture is a game changer in order to go from “meh!” to marvelous! By adding texture, depth is introduced and depth is what keeps things intriguing in your home. Think textured fabrics, faux fur, velvet, wool and cashmere. Texture adds another layer into your room and it is often the missing element when things don’t feel quite right. For the love of all things beautiful and good - mix your metals! Nothing says “builder basic” (and bland and boring) like one metal finish throughout your entire house. Ahem… I’m talking to you oil rubbed bronze. In order to create a beautiful neutral scheme in your home and for it to be far from boring, you’re going to need to mix some metals. We mix aged brass and chrome, black and polished nickel in some shape or form in nearly all of our interiors. This adds warmth, depth and you guessed it - interest. 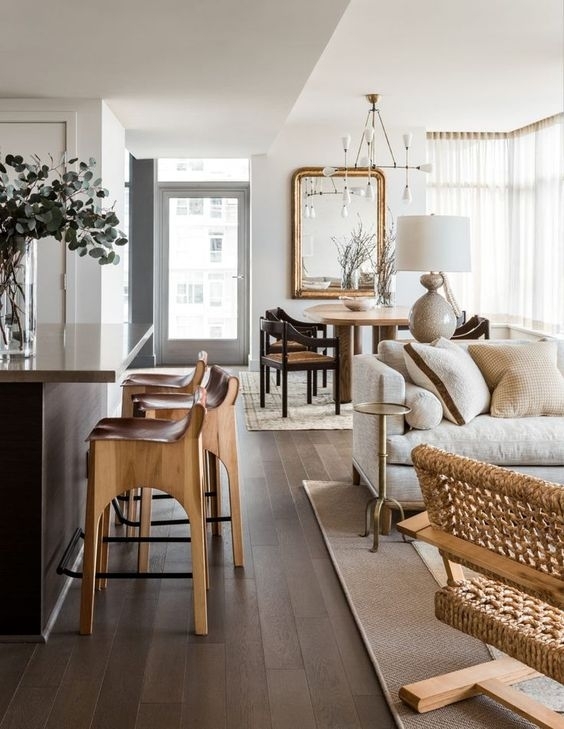 Check out this fabulous Seattle Condo by Brian Paquette. Dude knows how to execute a neutral scheme flawlessly! He’s hit all of the above suggestions… tone, pattern, texture and mixed metals. We hope these tips show you how neutral schemes can be interesting, beautiful and elegant. And far, far from boring! If you need help with a project contact us at 403-818-2283.